EV chargers are popping up at stunning speed in parking facilities across North America. 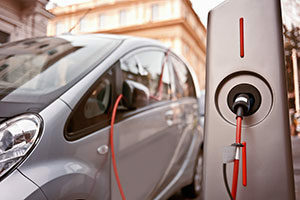 The University of Michigan estimates that in the U.S. alone, there are over 16,000 public electric vehicle charging stations, with nearly 43,000 individual charging connectors or plugs. For EV drivers, this is great news. Charge point popularity is helping to subvert what Forbes contributor Constance Douris recently coined as “range anxiety”: the fear of running out of charge without a means of recharging. For parking facility managers and owners, the issue is a little more complex. Careful consideration and partnership with the professionals are essential in order to avoid unnecessary installation costs, unwelcome delays, and inherent operational issues. Here’s why. A networked charging unit (i.e., one with internet connectivity) allows you to print reports, charge fees, control access, and more. However, the purchase price averages $8,000–$10,000 USD each. Even if you opt for a non-networked charging station (limiting its potential significantly), a single unit will still cost around $2,000–$4,000 USD. Not only that, but these prices also exclude installation fees, retrofits, and additional parts, pushing the cost into the tens of thousands with ease. Purchasing power. As a result of our expansive footprint throughout North America, we have the ability to buy charging stations in bulk, affording us discounted rates on units, parts, and labor. Knowledge of municipal and private incentives. EV charge stations have firmly caught the attention of building and sustainability councils, with government incentives adding more fuel to the fire. Impark has been navigating the murky legislative and bureaucratic waters of these incentives for several years and has the experience to uncover easy-to-miss savings opportunities. Ontario’s provincial government alone, for example, pledged $20 million to both public and private sector partners earlier this year in the hope of installing 485 chargers across the province. In the U.S., most states have also incentivized the installation of EV chargers. You can find an up-to-date list of public and private EV incentives here. However, as Ontario quickly realized, the installation of EV charge stations is a long and complex process. Of the 485 chargers they’d hoped would be in service by March 2017, just 60% of them were active as of October 2017. In contrast, 86% of Impark’s charge stations in Ontario are already up and running, demonstrating our ability to work quickly and efficiently within the framework of government incentive programs. EV charging stations aren’t easy to install. They demand significant labor, and some structures may completely lack the infrastructure required. Placement. By evaluating your parking facility’s existing infrastructure, we can determine where to place charging stations to minimize costs and invasive construction. EV charging stations are modern, sleek, and send a positive message about your facility’s sustainability plan — but how many should you install? If you should install. Your parking facility’s existing and target demographics directly impact the feasibility of adding EV charging stations. We can analyze current and potential usage in order to discern if charge stations are economically viable and, if not, explore other sustainability strategies to mitigate your carbon footprint. How many you should install. We can forecast how many EV charging stations are required to meet imminent and future demand in order to maximize return on investment. How to manage demand. Impark’s input doesn’t stop at installation. We will closely monitor the use of your EV charging stations for fluctuations in demand and recommend additions or decommissions where necessary. Depending on the power output of your EV chargers, a car can now reach full charge in just 30 minutes. However, if that car is parked in an EV space for a full eight-hour working day, that’s seven hours and 30 minutes of improper utilization. As an experienced EV charging station operator, we’ve already created solutions to this very problem. Automated solutions. We can create a smart system that notifies drivers of their car reaching full charge, and implements late fees for those who fail to return to their car within a specific time period. Hands-on solutions. Depending on your industry and facility, we can introduce a valet-stacking service that will allow our highly trained Impark ambassadors to move vehicles to regular spaces when fully charged. Don’t let these EV charging station realities dissuade you. Electric vehicles are increasing in popularity, decreasing in cost, and will likely be benchmarked by municipalities across North America in the near future. Do, however, be aware that partnering with a professional parking management company on your charging station project will save you time, money, and a whole lot of hassle. Impark is firmly committed to minimizing the carbon footprint of its internal and external operations. In 2007, we become the first North American parking company to obtain carbon neutral certification in recognition of our commitment to reducing consumption. In 2009, we helped found the Green Parking Council and are now an active member of its acquirer, the U.S. Green Building Council. Contact us today to see how we can deliver sustainable value to your parking facility. 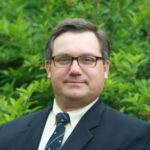 Written by Greg Chapman, Business Development Manager at Impark. Email him at gchapman@impark.com.